In Astrology, we call Zodiac the great wheel that houses the 12 signs. Have you ever thought of how it was divided? The wheel was arranged into 12 zones of 30 degrees. The name given to each zone came from an existing constellation: Cancer, Leo, Virgo, etc. In this article, we will discuss about it and learn everything of fixed quadruplicities. The first division that comes to our mind when we think about the Zodiac is the division by the nature elements: fire, earth, air and water. Those elements represent the triplicities: 4 groups of 3 signs each. But, besides the division by element, when we make a geometric trace of the zodiacal wheel, we will see another arrangement. Astrological quadruplicities (also called as “qualities”) are the 3 groups of 4 signs when we divide the wheel in this way. Now, the signs are divided according to a specific energy, instead of the nature element. And order is always the same: cardinal, fixed and mutable quadruplicities. What we have to say about fixed quadruplicities is that the characteristics of signs are more inflexible and more permanent. It means that they are less subject to change. An energy of resistance and conservatism is born. Fixed quadruplicities will always be in the middle of the others. And, if you notice, they represent the magnificence of a year season: Taurus (Spring), Leo (Summer), Scorpio (Fall) and Aquarius (Winter). It is during the time of Taurus when the flowers are more vibrant. Just as when Aquarius operates, winter is more rigorous. From this analogy we are able to understand that these signs are the stabilizers. 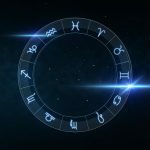 It may be difficult to imagine Aquarius as a conservative sign, but comparing to the other air signs, this is the most intransigent to a change of mind. And we are talking about these little details that connects these 4 signs of different elements. These four signs are more domineering and have a powerful energy, focused on reflection. Of course they do it in their own way. But usually all of them wait and reason before an obstacle. Only then do they face it. The keyword of the fixed quadruplicities is “permanence”. People born under a fixed sign are loyal and have a convincing attitude. They keep their feet on the ground and always finish what they start. The ability to accomplish is the strongest of quadruplicities. And it is not only from the Sun sign that someone gains the qualities of the fixed quadruplicities. When we look at our natal chart, we can see if we have much or little fixed energy with us. If we are born under a cardinal sign, but we have other planets positioned in mutable or fixed signs, things are going to become more balanced. Fixed energy is a very powerful energy and represents the delivery. It gives us what it takes to be strong in the face of life’s setbacks and that is wonderful. We all need a safe spot within us. Where we can focus, concentrate and regain the energy needed to keep us confident. So if you have a number of fixed signs on your natal chart, be happy. But if somebody has an excess of fixed energy, it will be hard to deal with so much dense energy. People can easily become cold and selfish. They also tend to suffer from laziness and lack of movement in their lives. Or else, they may even become irreducible in their opinions and stubborn to the extreme. Do you know when we need to be tactful? That is what we are talking about.